- Place a tortilla on flat surface. 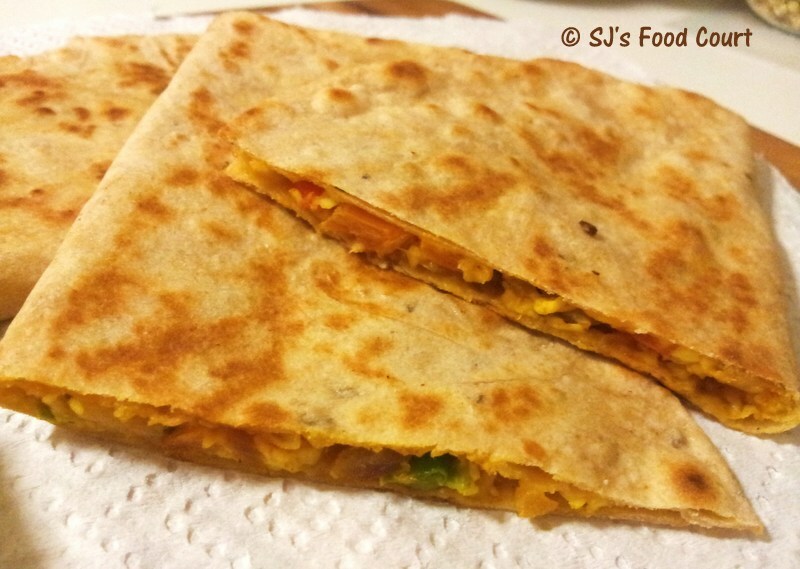 - Spread 1/2 cup of Paneer Bhurji on half part of tortilla. 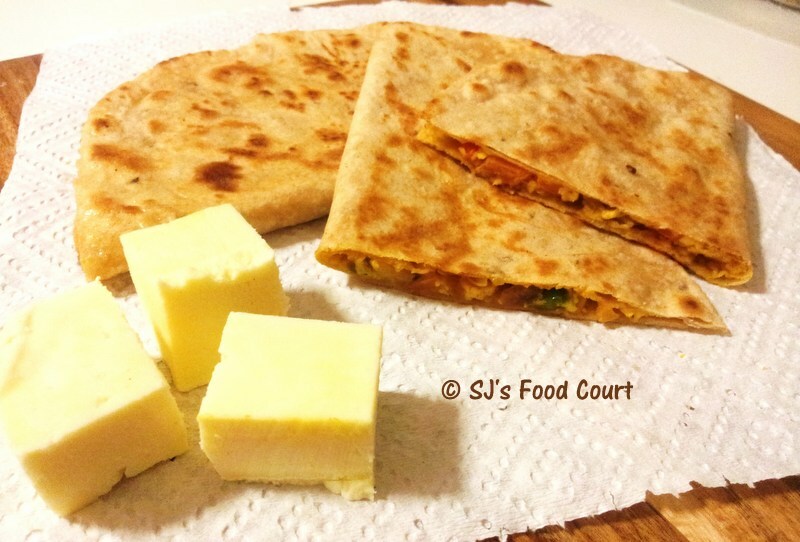 - Sprinkle grated cheese on top and fold it into half. - Roast on a flat pan with a few drops of oil (or cooking spray). - Repeat the same process for making rest of all quesadillas. can I get it now??? drooling here!!! Thanks for linking it to my event!! Looking for more yummy recipes! !